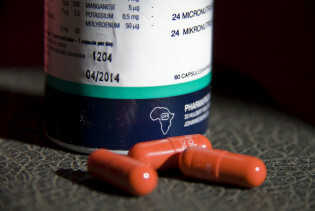 Paul Anley, chief executive officer of Pharma Dynamics, one of South Africa’s leading generic drug companies, wants to sell a cheaper version of popular birth control pill Yasmin. But he legally cannot because German multinational Bayer has patent protection on the drug in South Africa, even though its initial patent expired in 2010. The Supreme Court pushed back Monday against a longstanding practise in the U.S. pharmaceuticals industry under which large-scale companies pay producers of generic copies to hold off introducing those low-cost drugs into the marketplace. India’s refusal to grant patent protection for the anti-cancer drug Glivec, developed by Swiss drugmaker Novartis, is a victory for the developing world, which depends on low-cost exports of generic medicines from the Asian giant, said public health specialist Germán Velásquez. India's highest court has dismissed Swiss drug maker Novartis AG's petition seeking patent protection for a cancer drug, a serious blow to Western pharmaceutical firms which are increasingly focusing on India to drive sales. Days before leaders of the European Union (EU) arrived in Norway to collect this year’s Nobel Peace prize, Thai public health activists sent a letter to the northern powerhouse, warning that the EU’s 2012 accolades face a credibility test in this Southeast Asian country. A new kind of public-private partnership will begin in 2013 in Brazil to produce an antiretroviral drug, through a technology transfer agreement that will be in effect until the patent expires in 2017. Bangladesh has begun to shed its image as one of the world’s poorest nations and make a reputation for itself as a major exporter of cheap generic drugs to over 85 countries. As the northern Indian state of Rajasthan rolls out an ambitious universal healthcare plan, the discontent of the state’s doctors stands in stark contrast to the joys of the 68 million people who will benefit from the scheme. Could Europe’s Anti-Counterfeiting Pact be a “Pandora’s Box” of Rights Violations? Foggy details surrounding Europe’s anti-counterfeiting trade agreement (ACTA) have divided pubic opinion, with activists on one end of the spectrum claiming it to be the end of Internet freedom and the generic drug market, while proponents continue to defend the act as a “modest” agreement to protect Europe’s intellectual property.